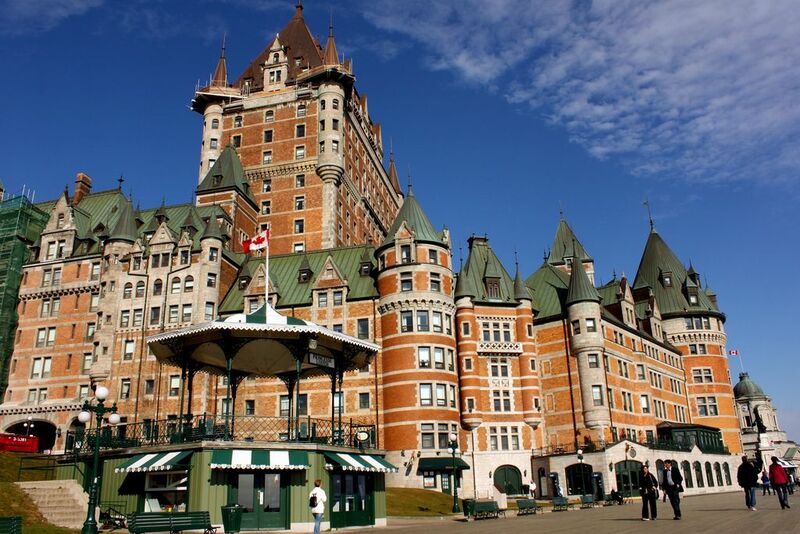 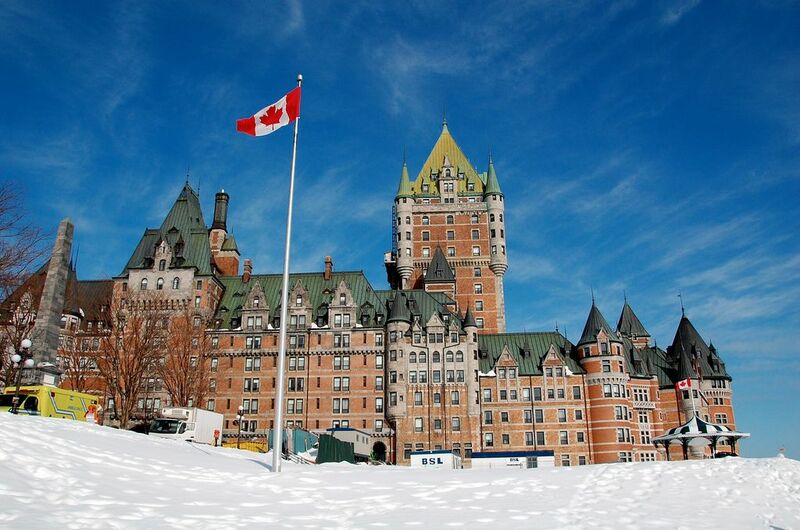 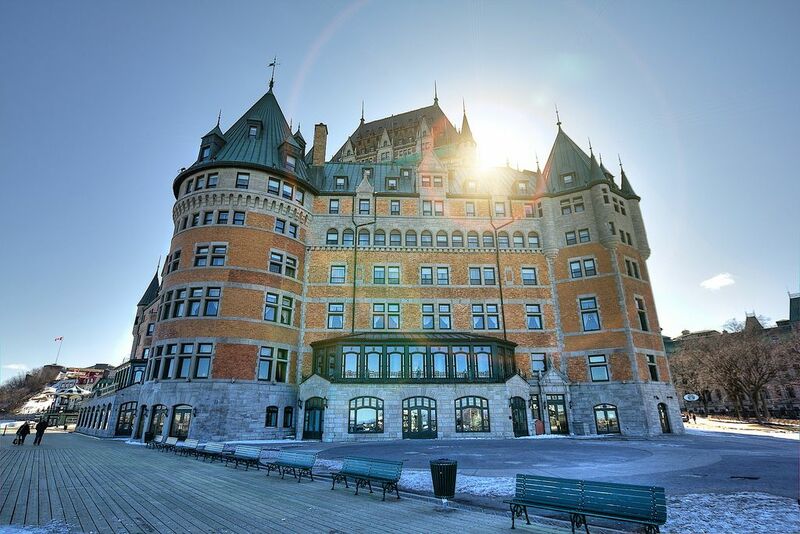 Chateau Frontenac is an imposing building with five brick and stone wings and a central tower erected in seven stages between 1892 and 1993. 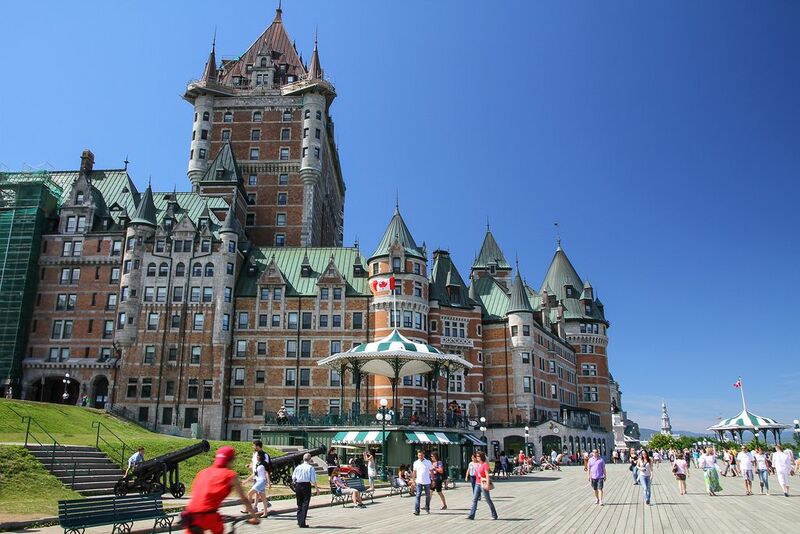 It is located on a cliff overlooking the St. Lawrence River, within the Québec historic district. 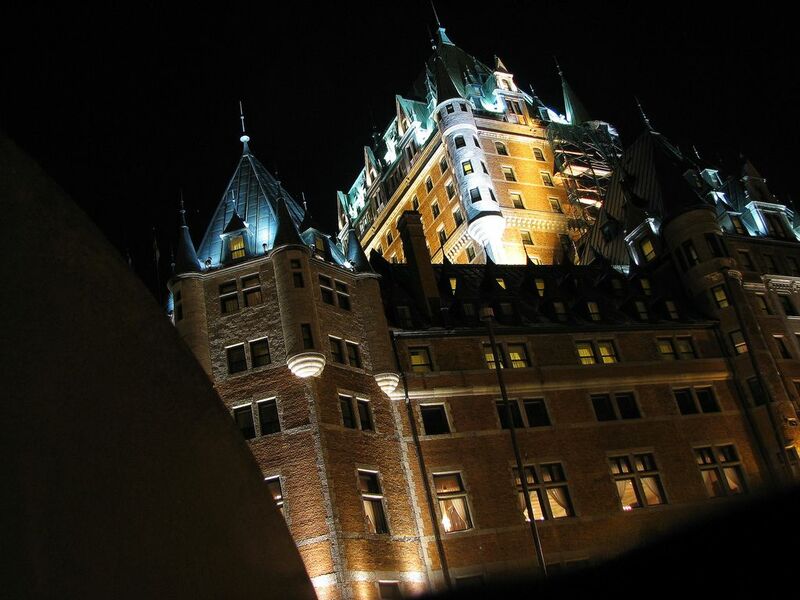 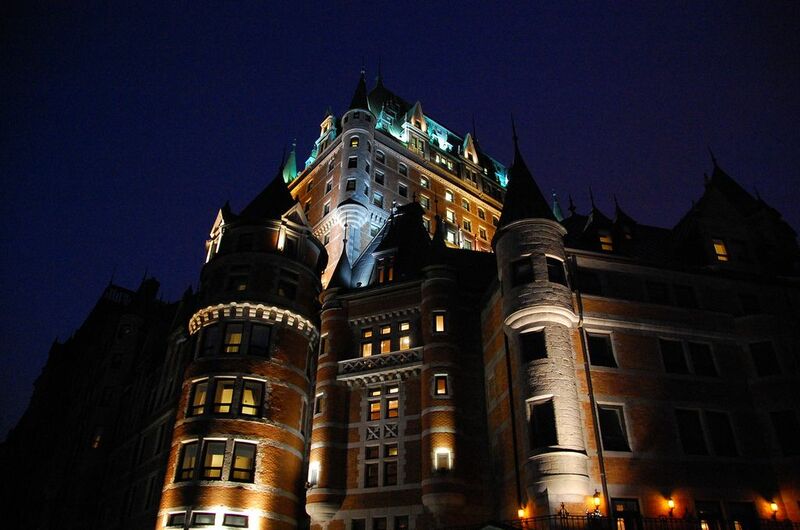 The original building burnt to the ground in 1834, and was not rebuilt for 60 years until the original portion of Chateau Frontenac was constructed. 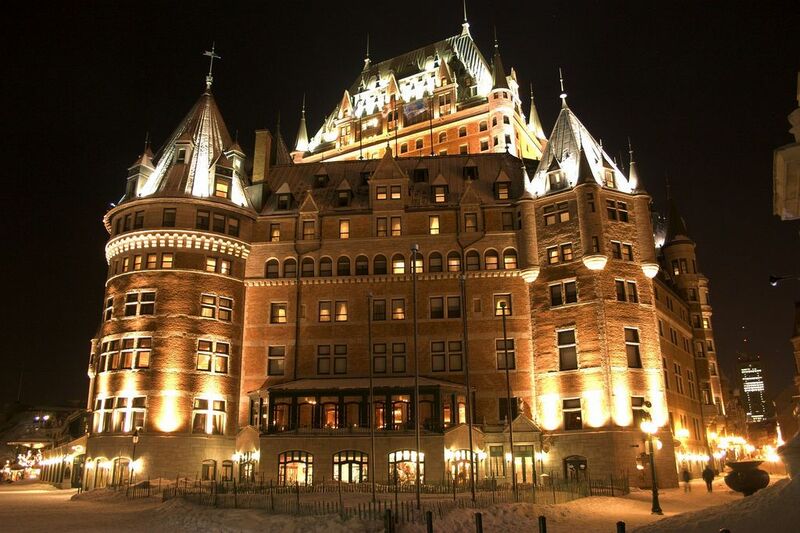 Nowadays, the Château Frontenac is a grand hotel in Quebec City, Quebec, Canada, which is operated as Fairmont Le Château Frontenac. 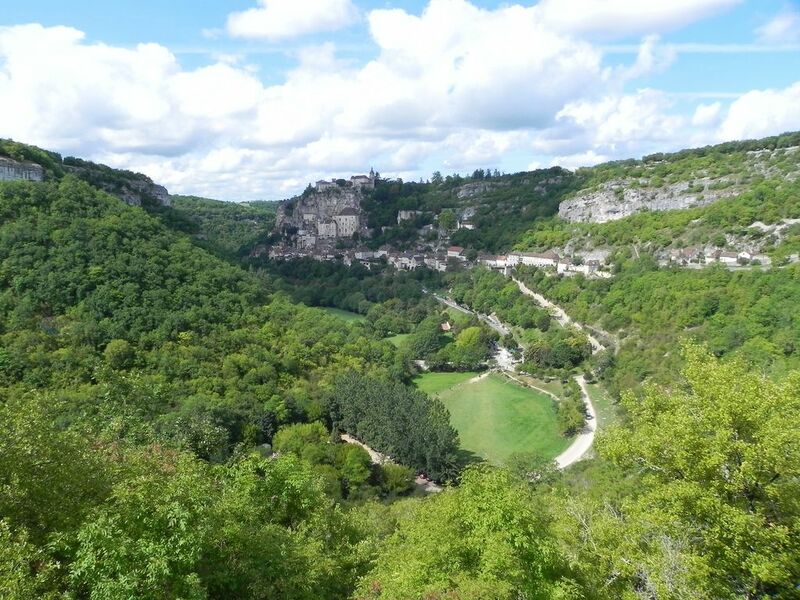 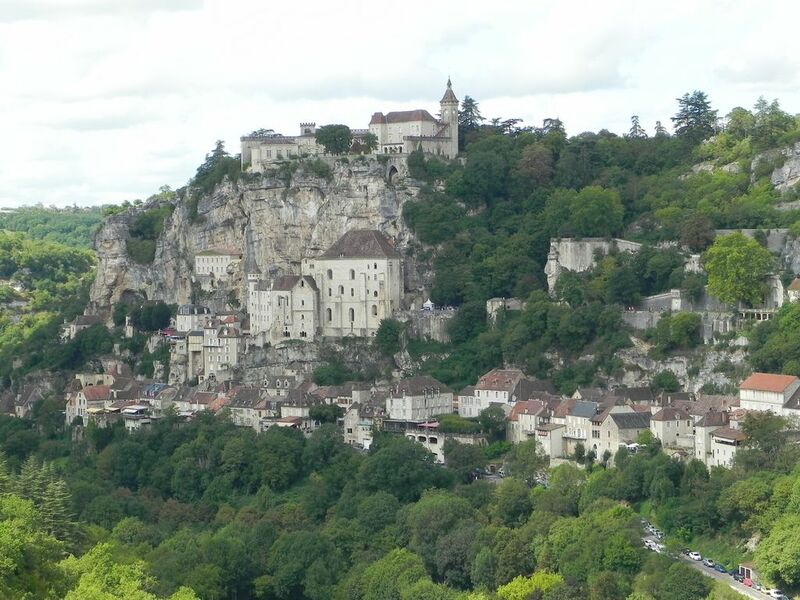 Rocamadour is located about 100 miles north of Toulouse, It is a popular destination for pilgrims and tourists. 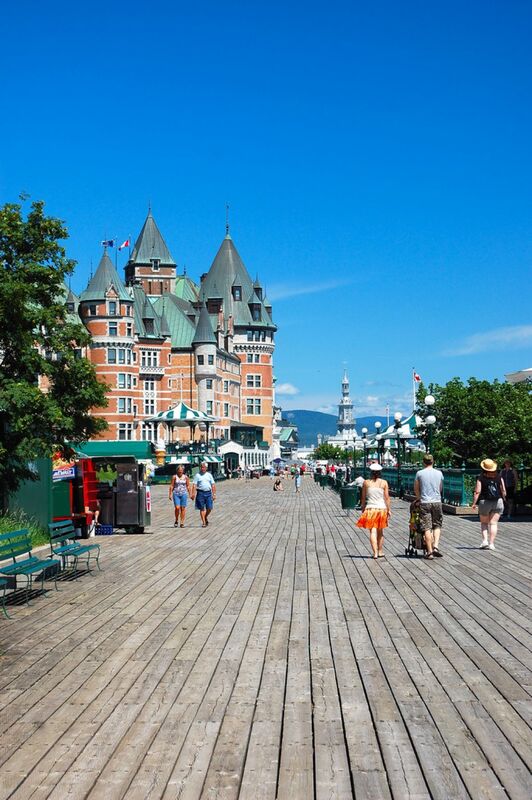 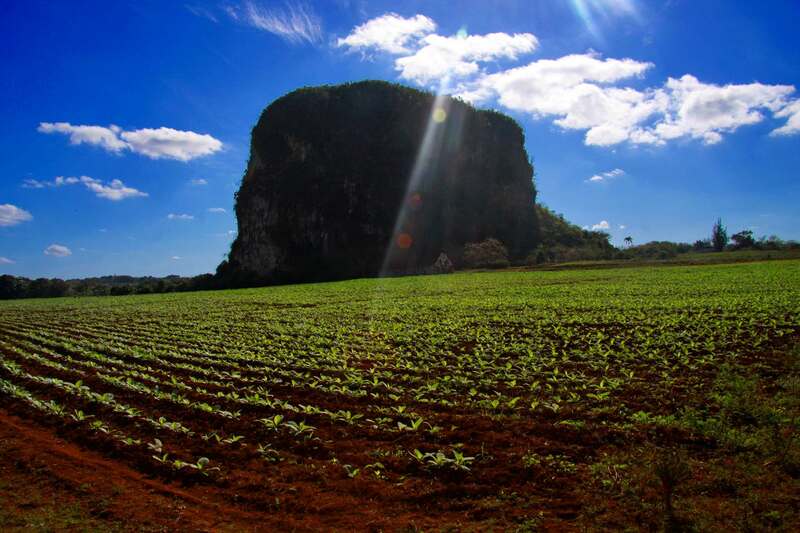 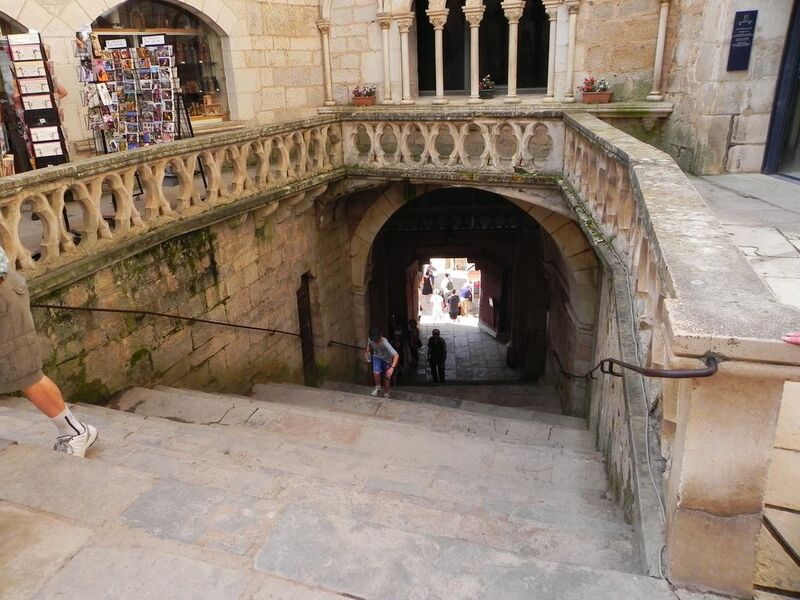 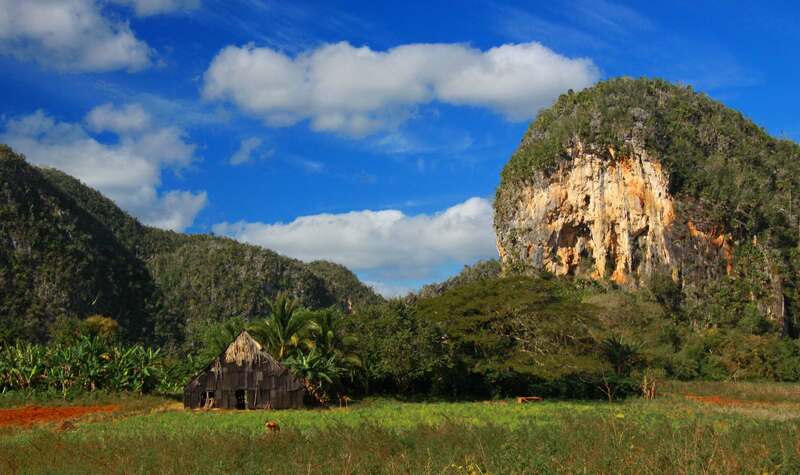 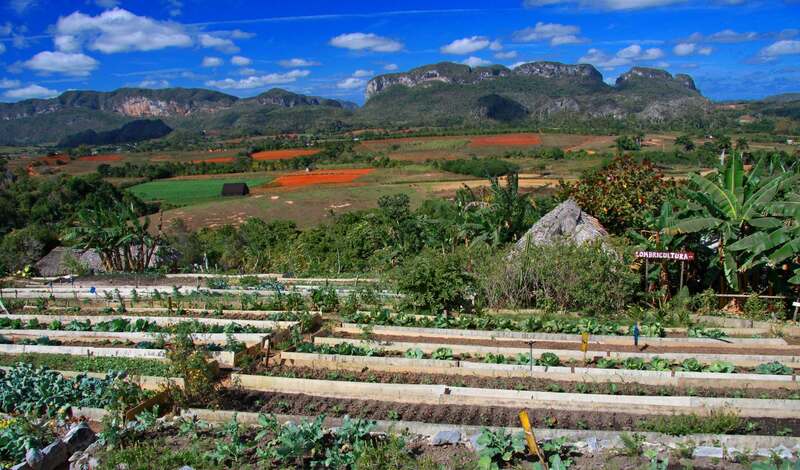 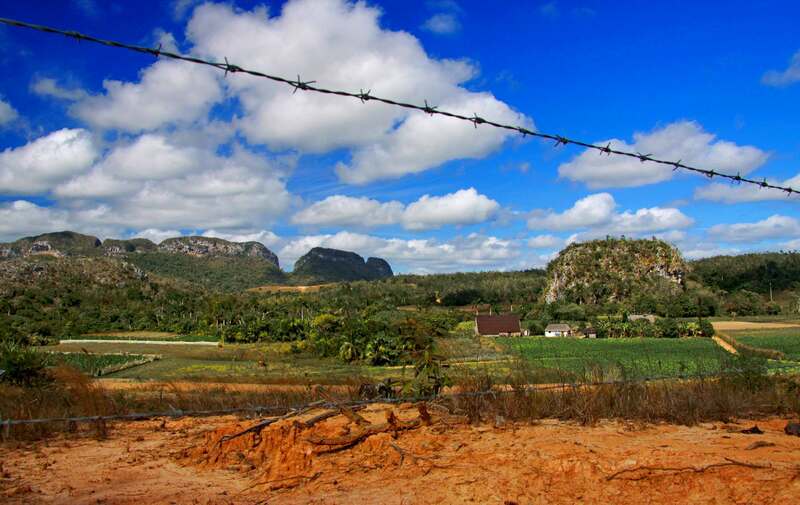 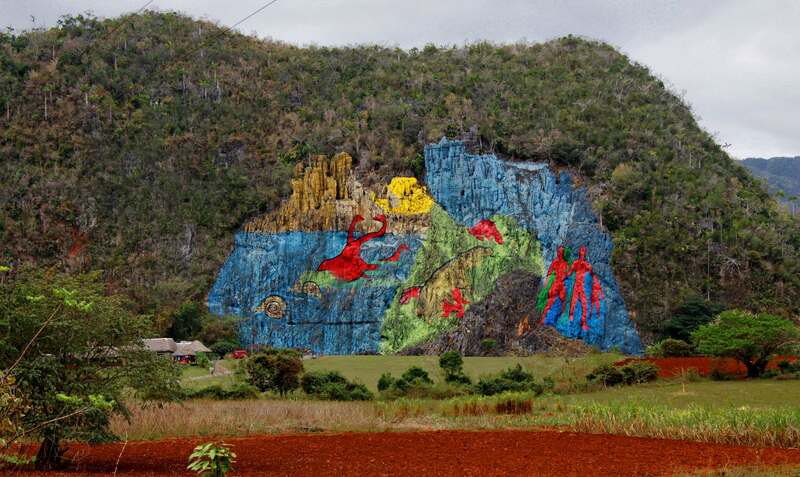 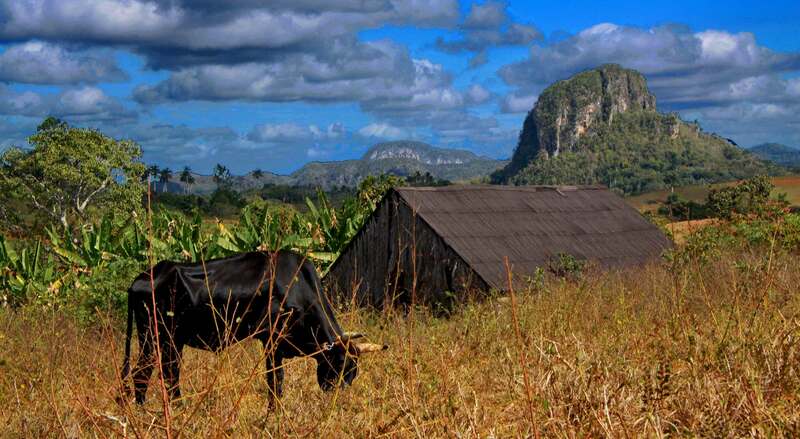 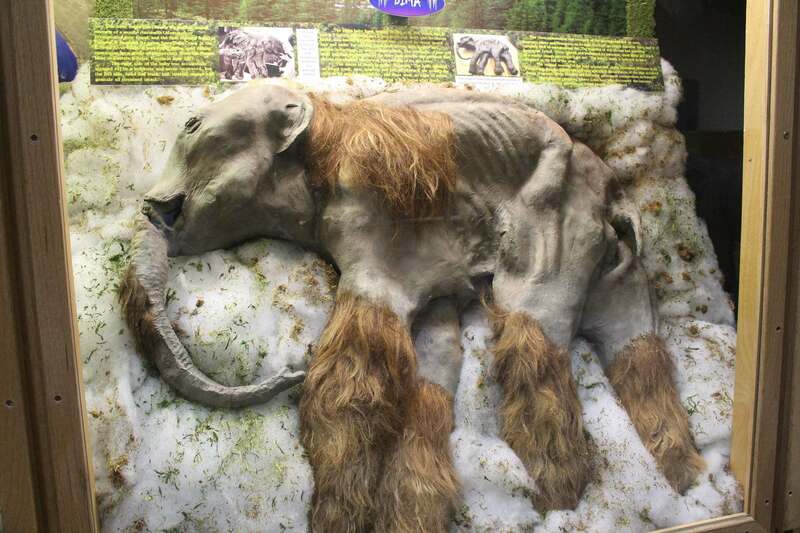 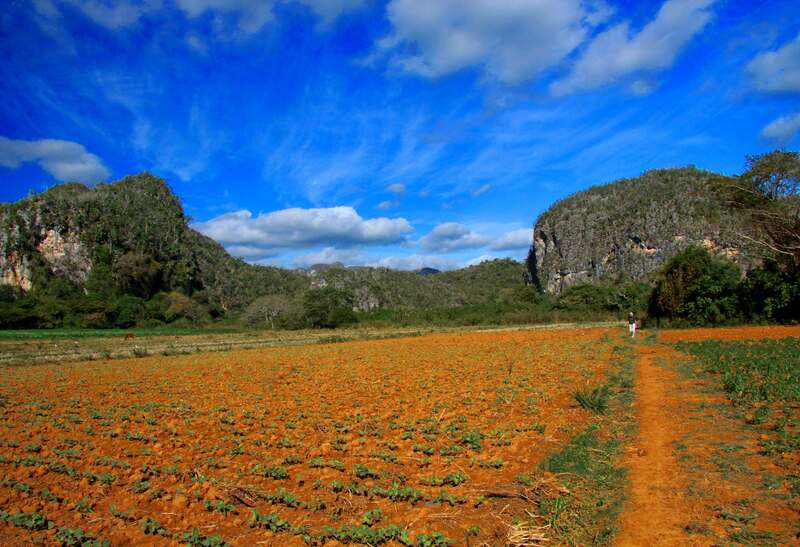 It attracts 1.5 million visitors each year. 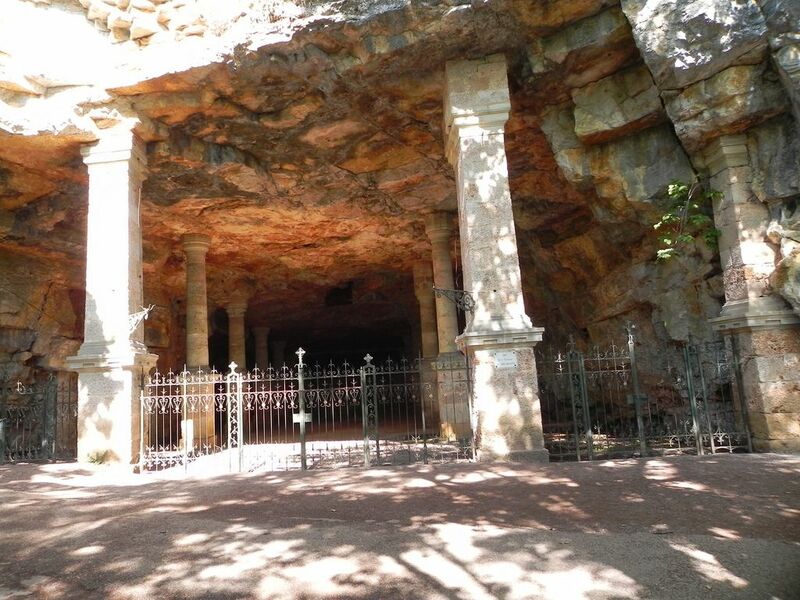 It is built on the site of a shrine to a Madonna, the shrine became famous for its healing powers, and soon became a stop on the pilgrimage path to Santiago de Campostela. 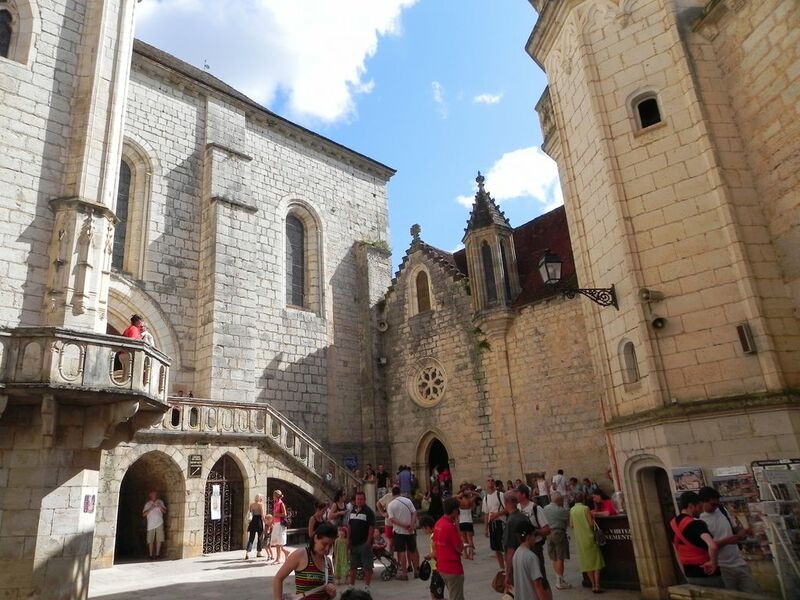 The village is essentially just one paved street, lined with medieval houses, several of which are notable and many of which are impressive, and passing through stone fortified gateways – the Porte du Figuier and the Porte Salmon are the two main gateways. 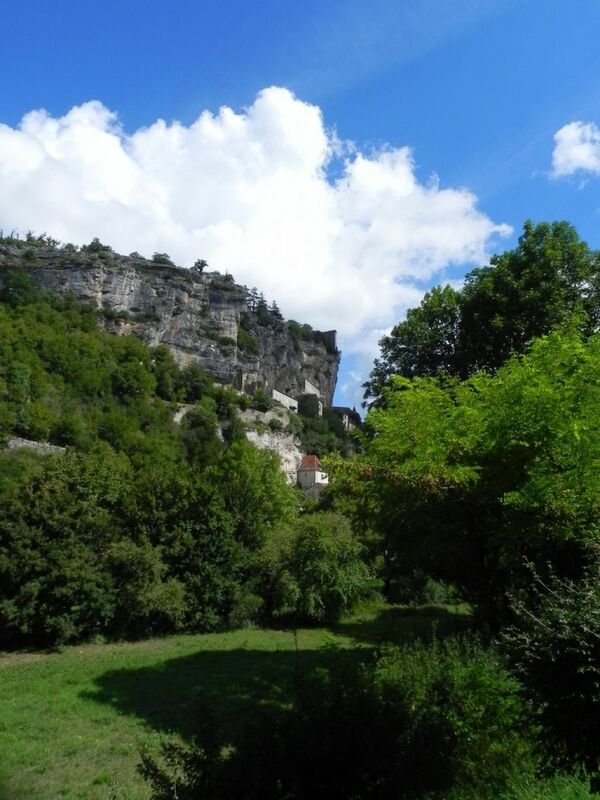 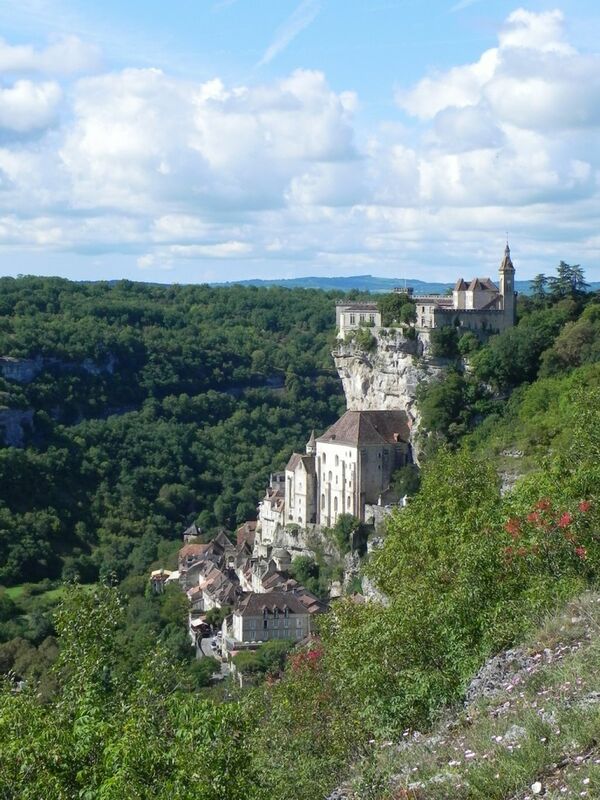 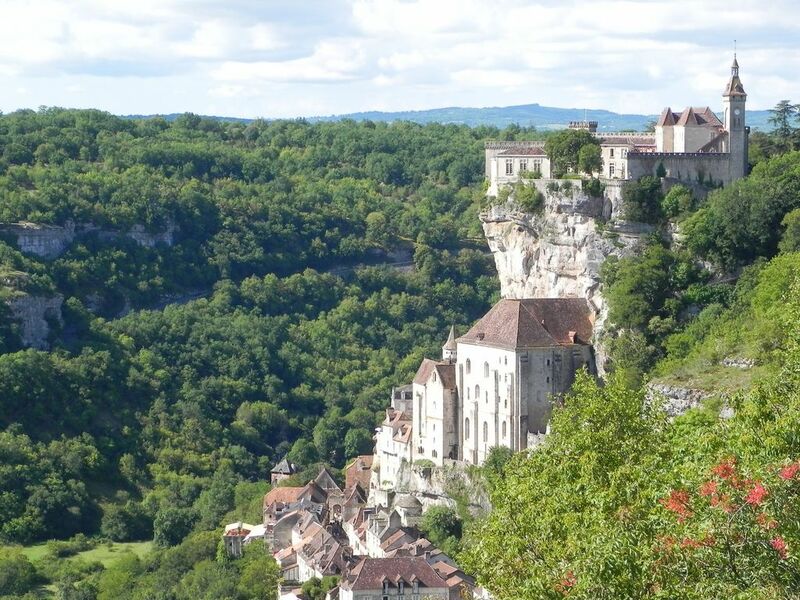 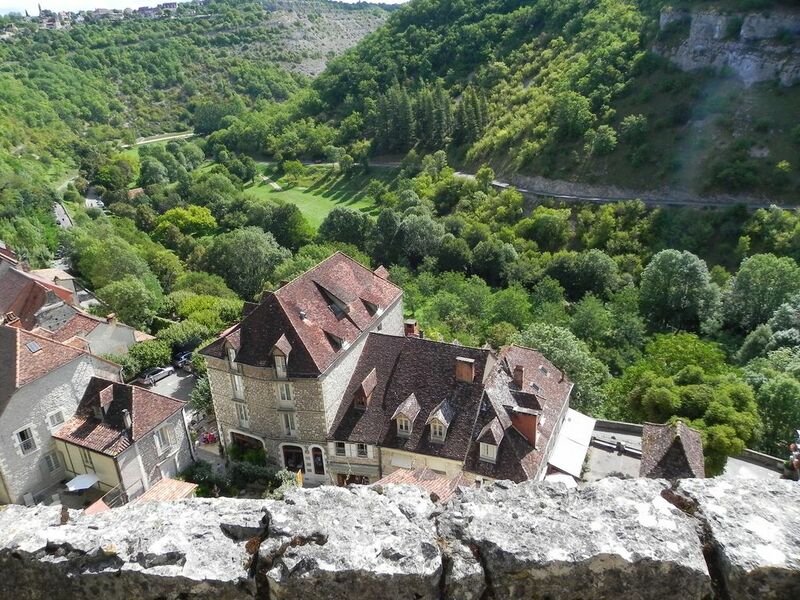 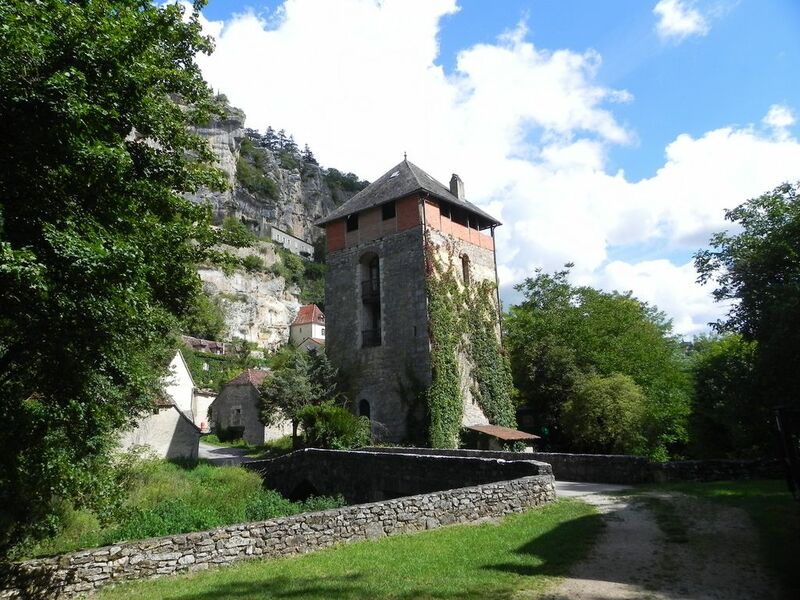 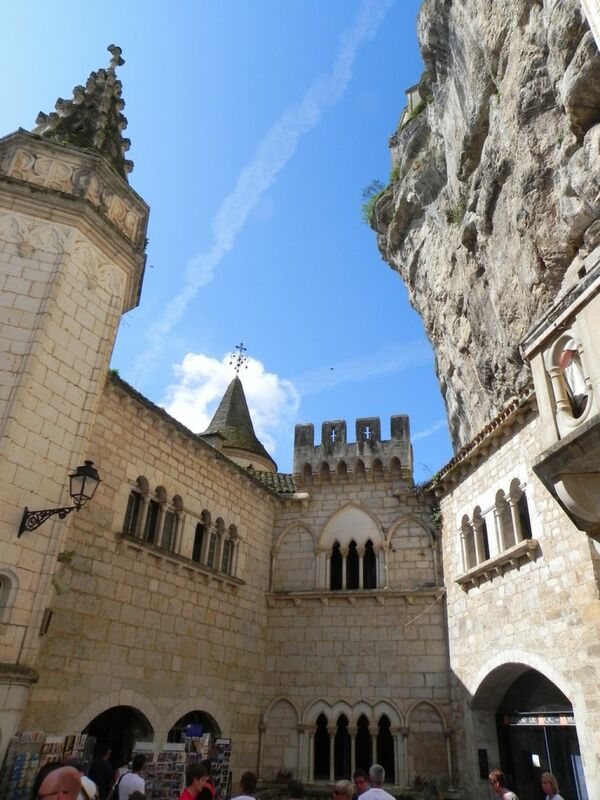 The buildings of Rocamadour rise in stages up the side of a cliff on the right bank of the Alzou, which here runs between rocky walls 120 metres (390 ft) in height. 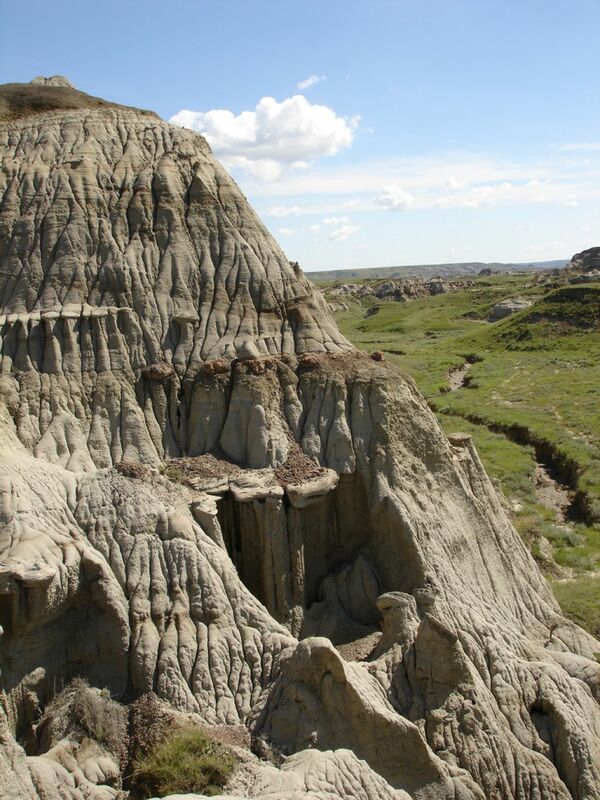 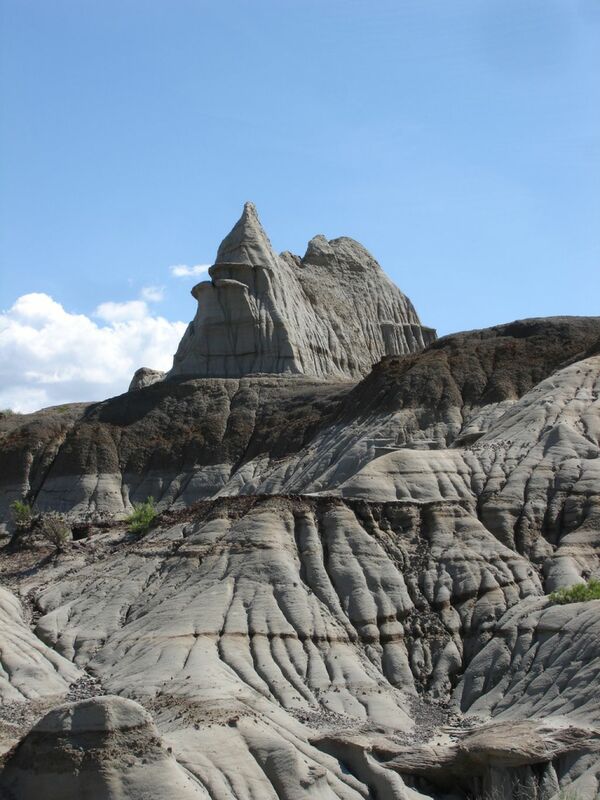 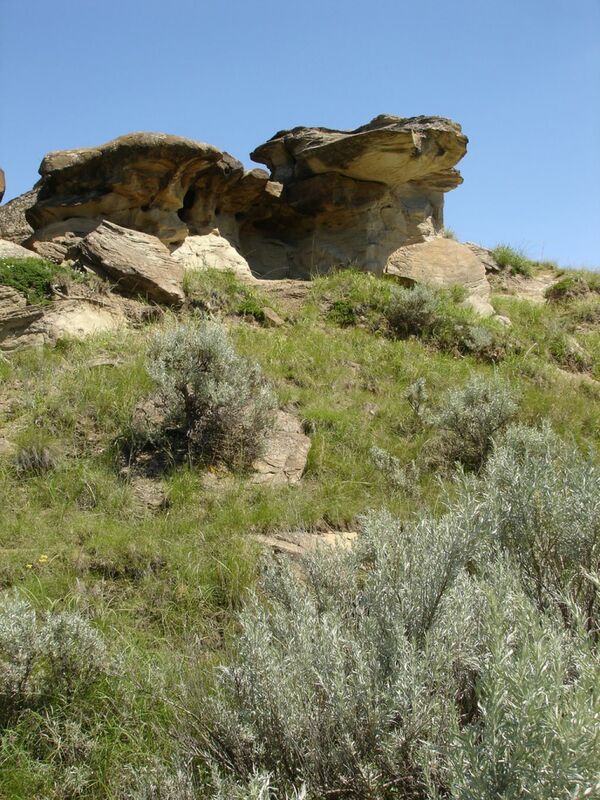 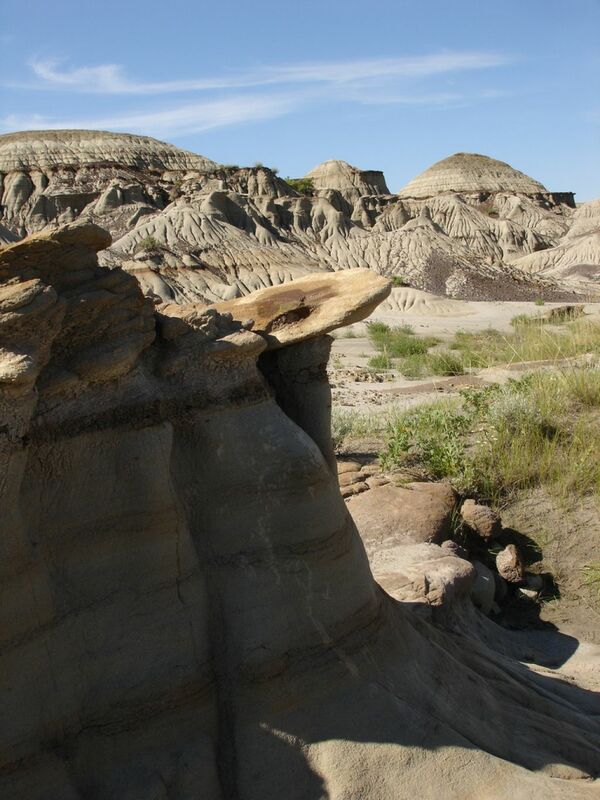 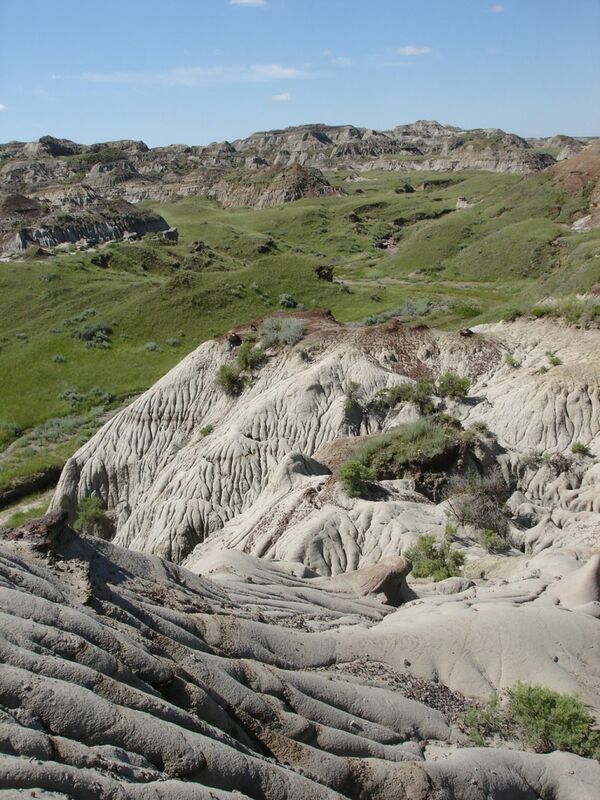 Dinosaur Provincial Park is located about two and a half hours drive southeast of Calgary, Alberta, Canada. 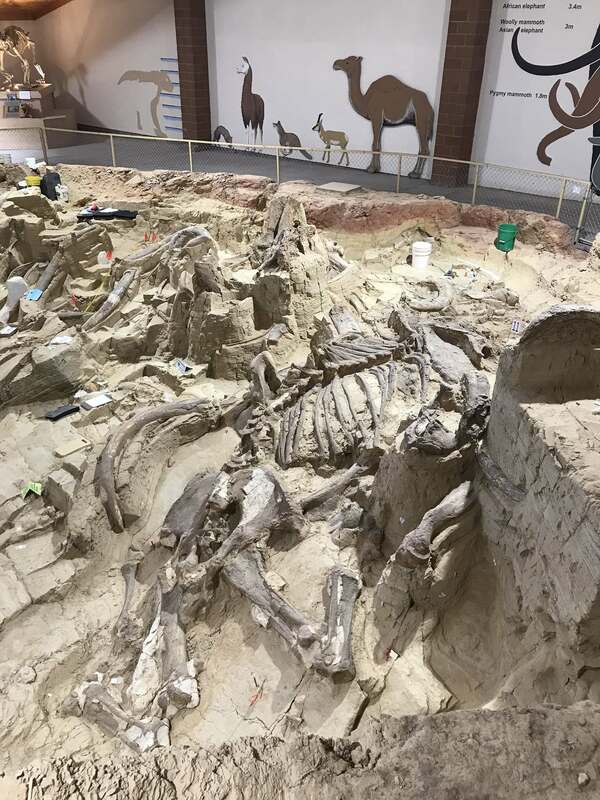 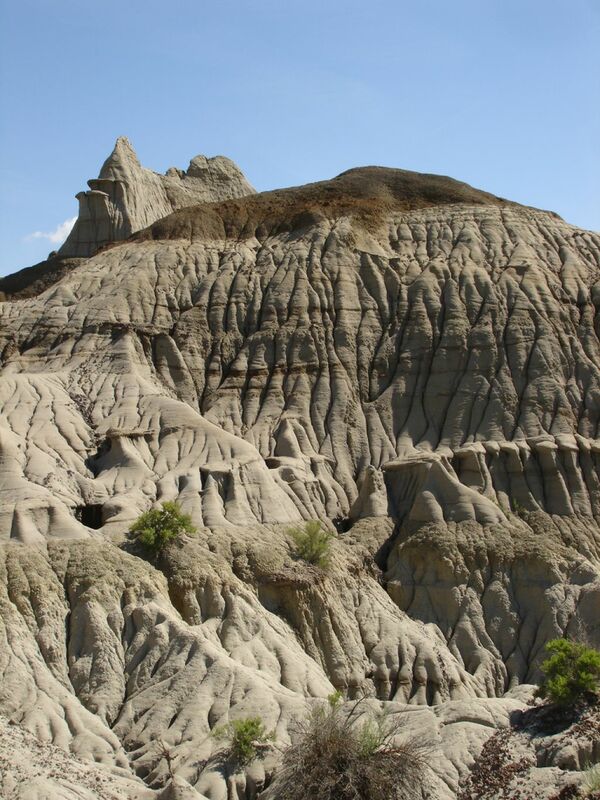 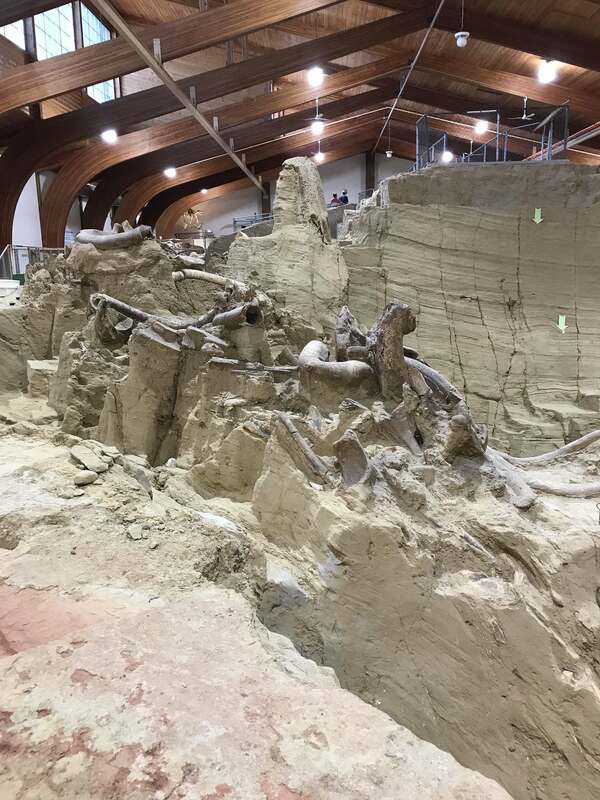 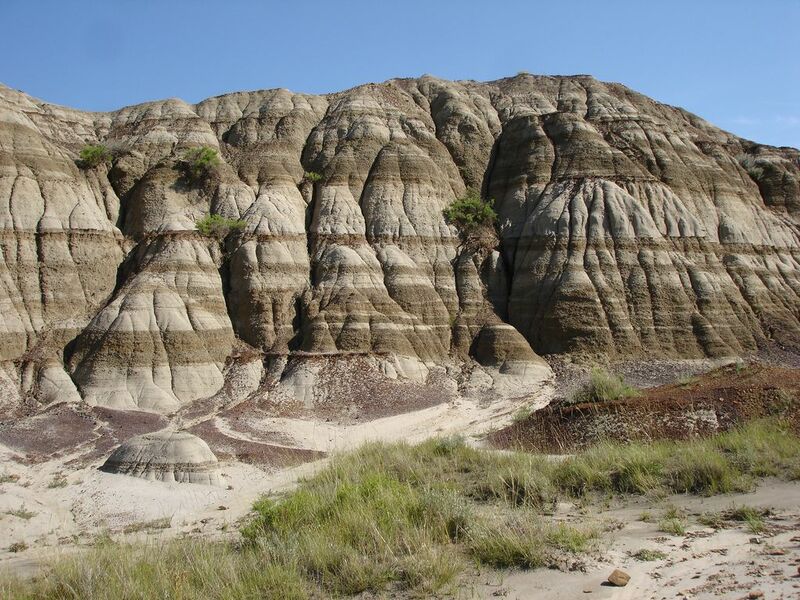 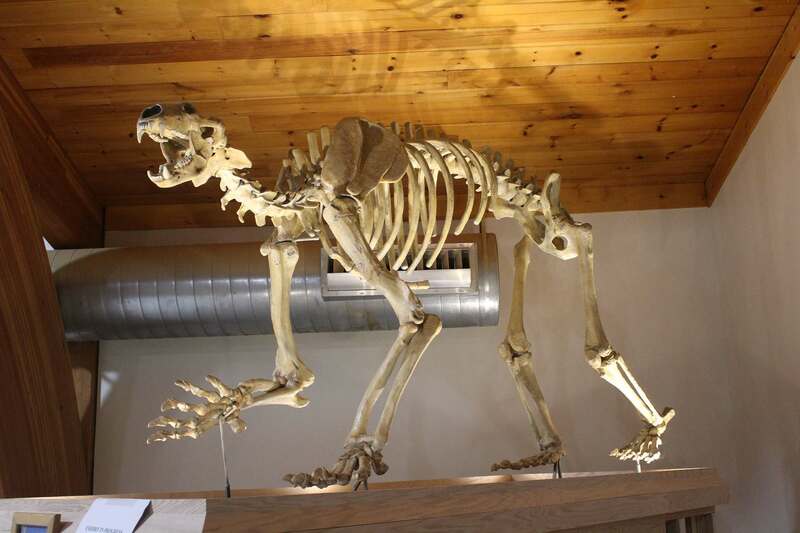 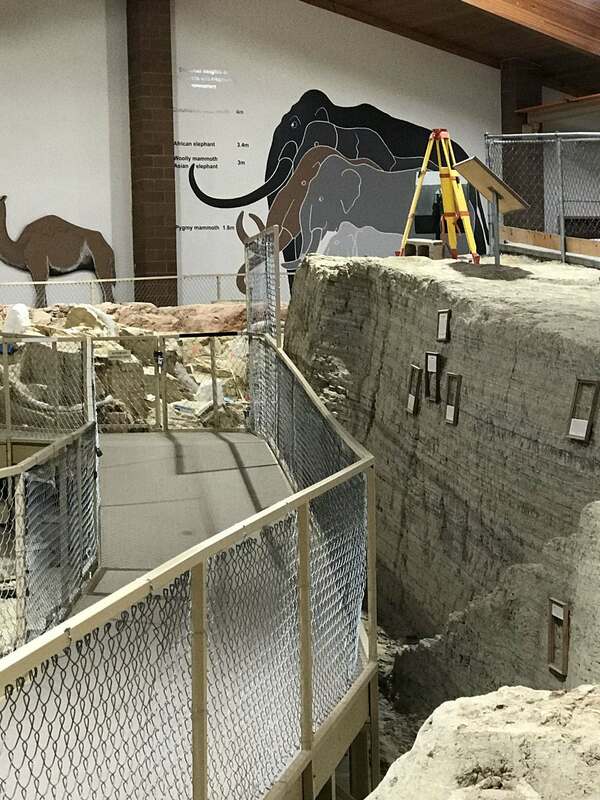 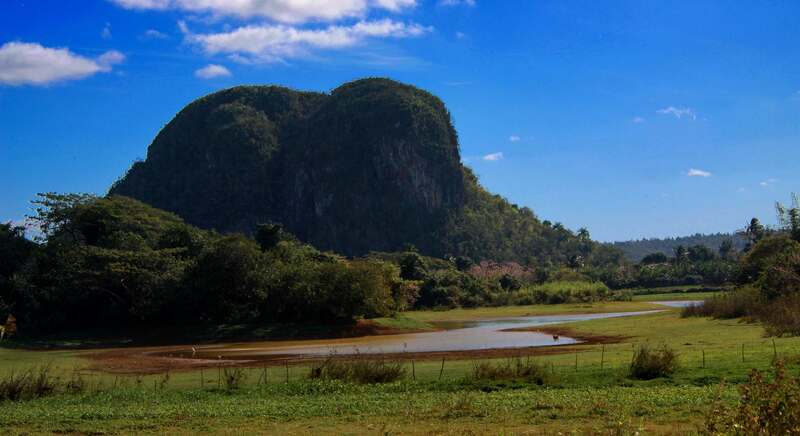 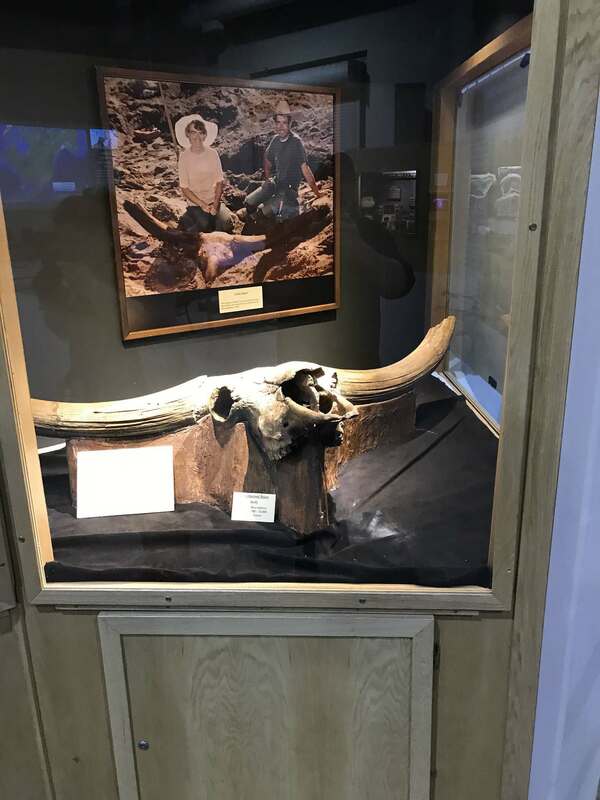 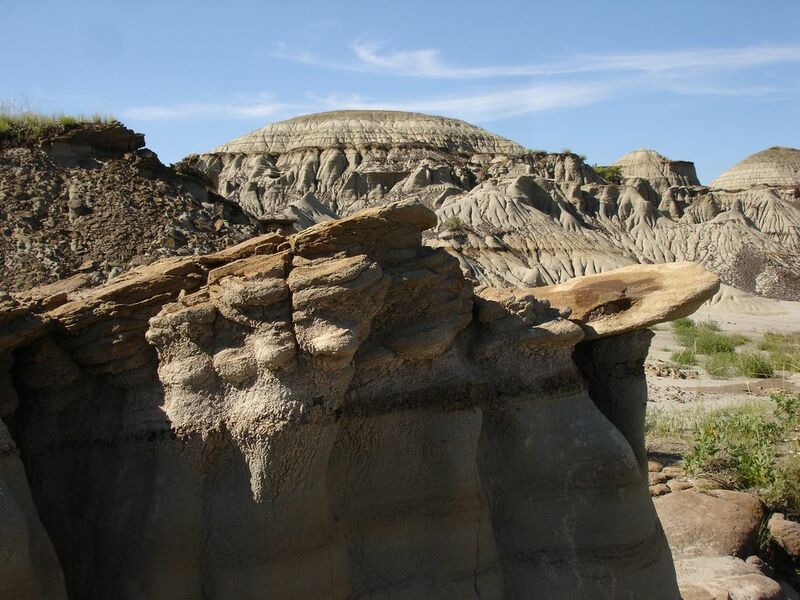 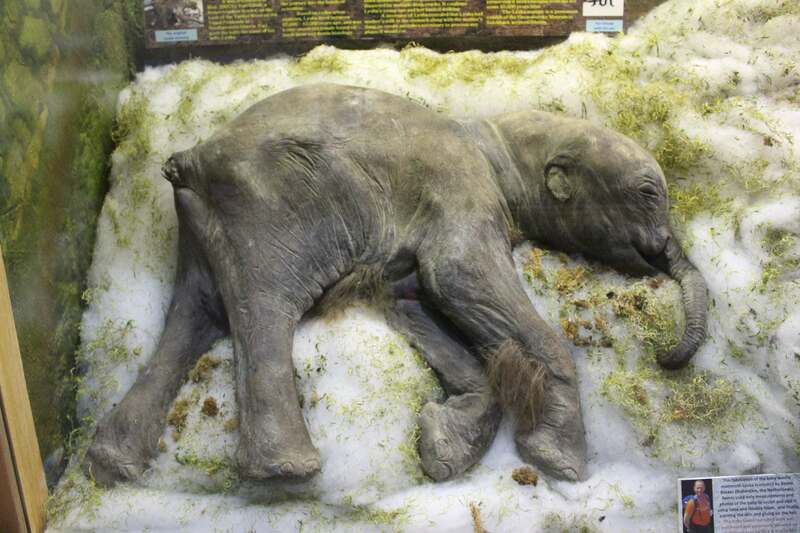 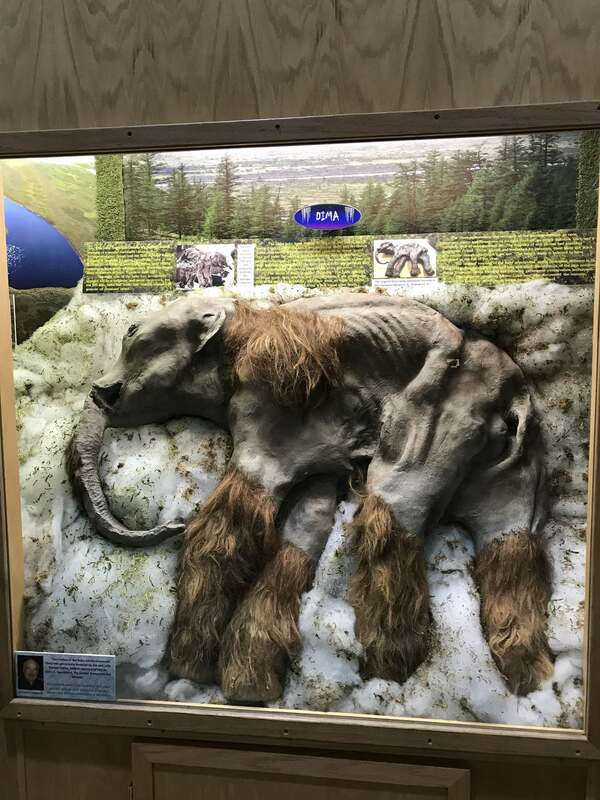 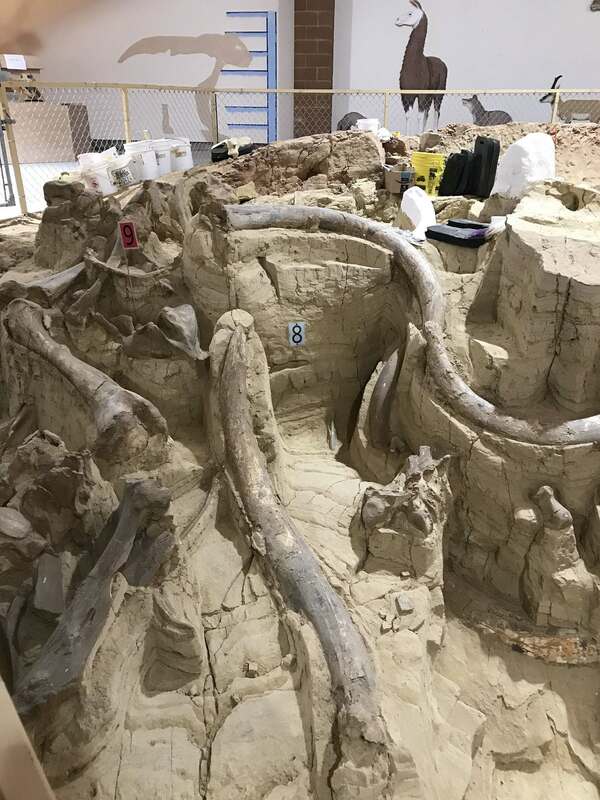 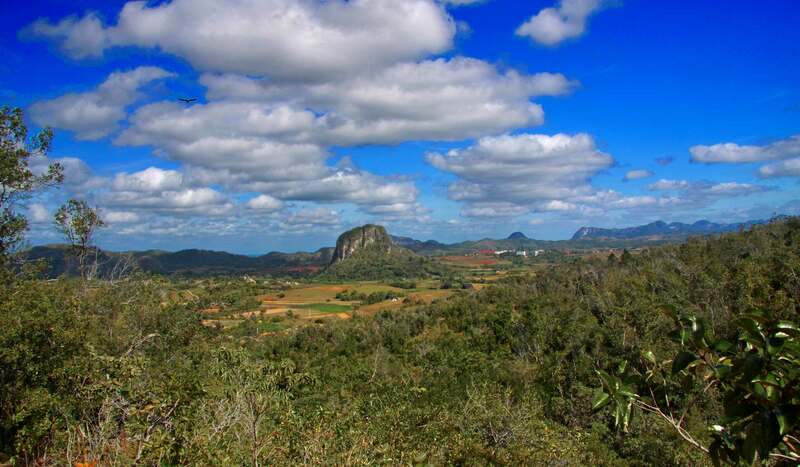 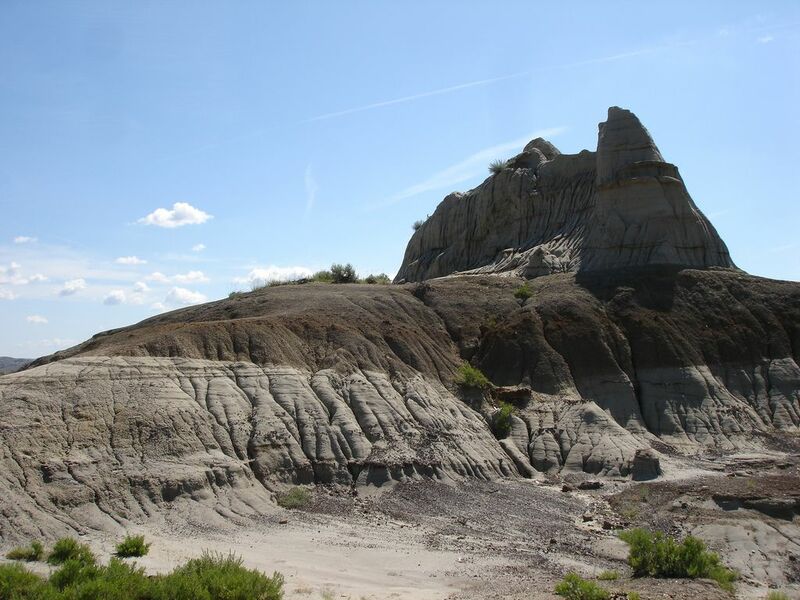 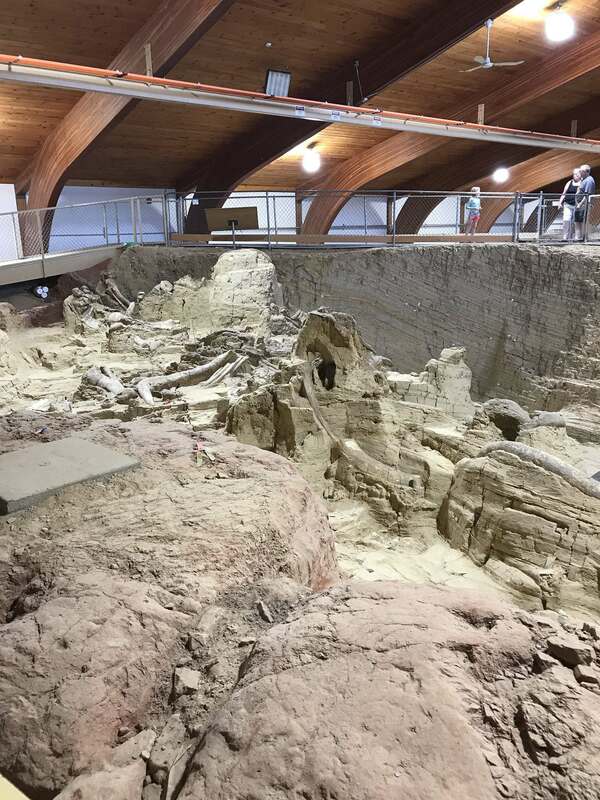 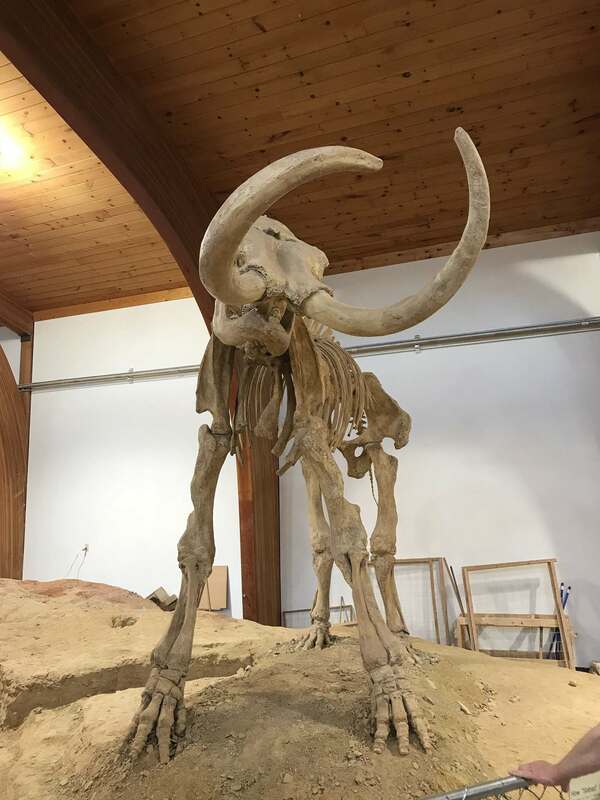 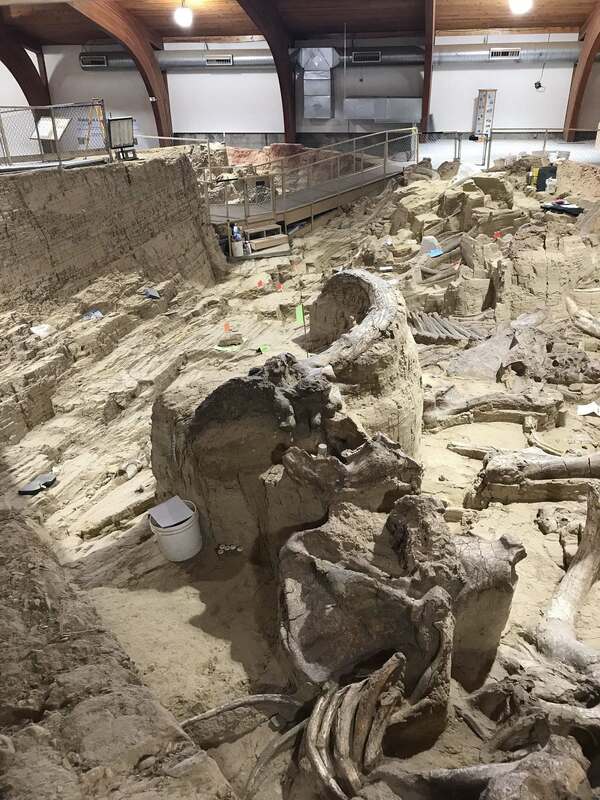 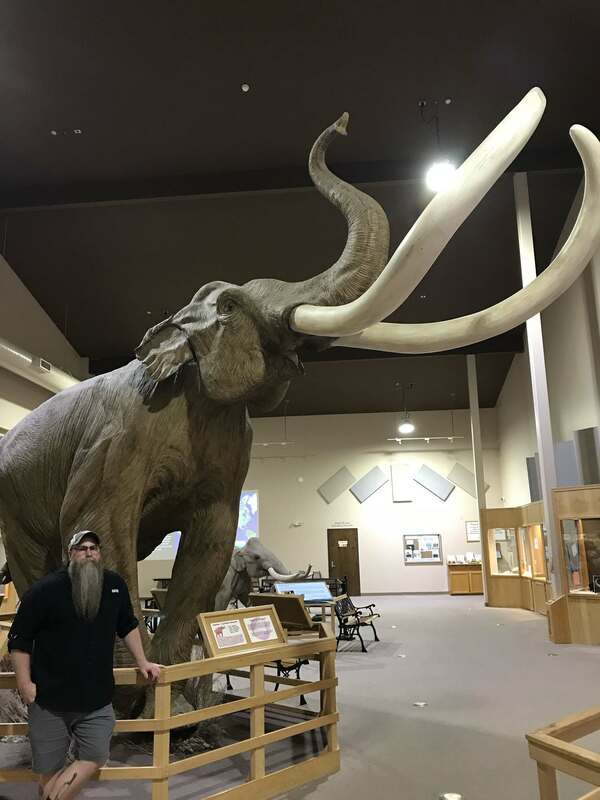 The nearly 29-square-mile (75-square-km) park is best known for its extensive fossil beds, within which have been identified some 35 different species of dinosaurs from the Late Cretaceous Epoch (about 100 to 65 million years ago). 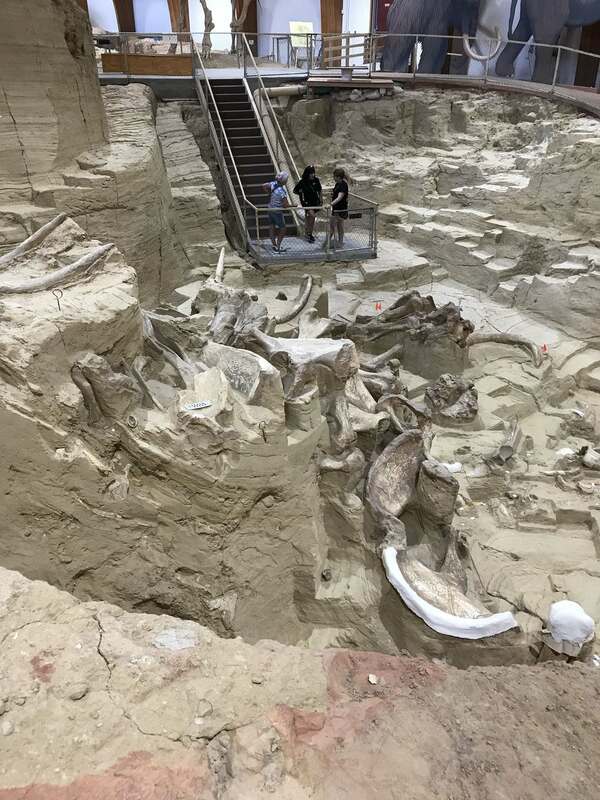 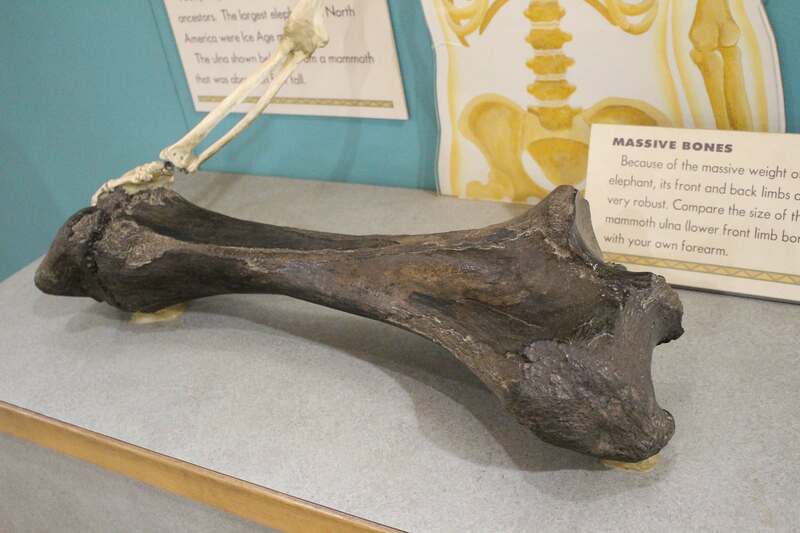 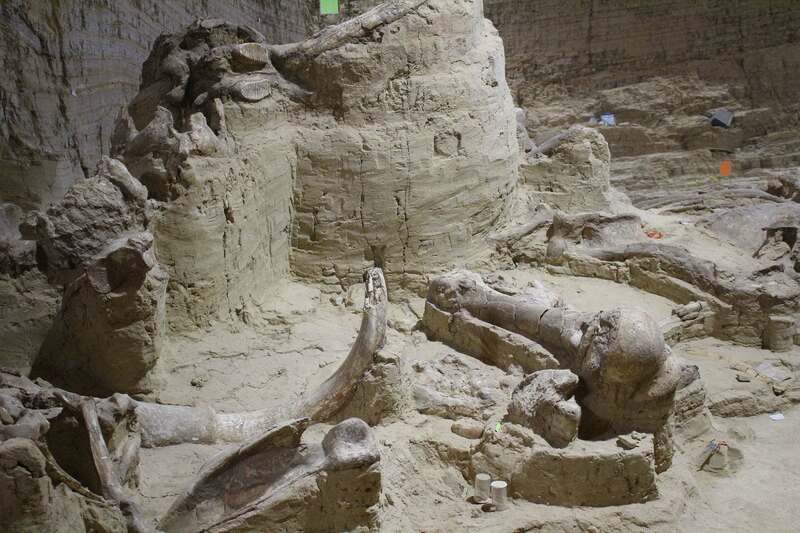 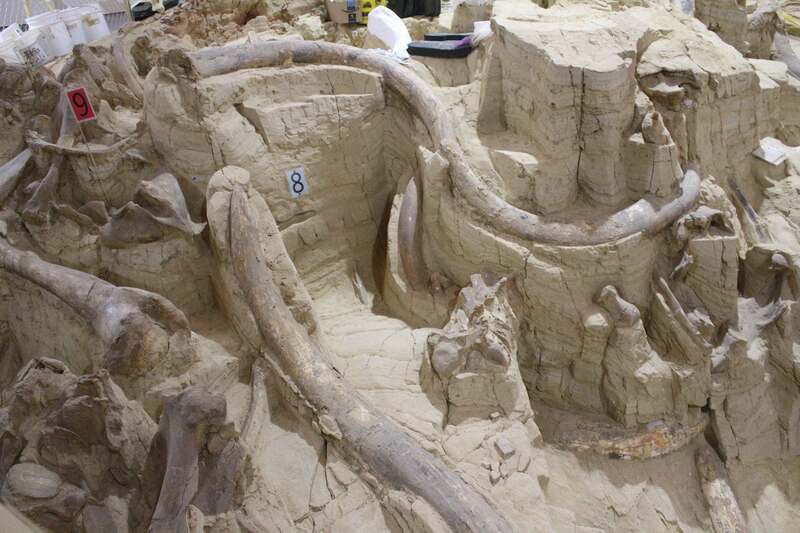 Over 300 dinosaur skeletons have been found here. 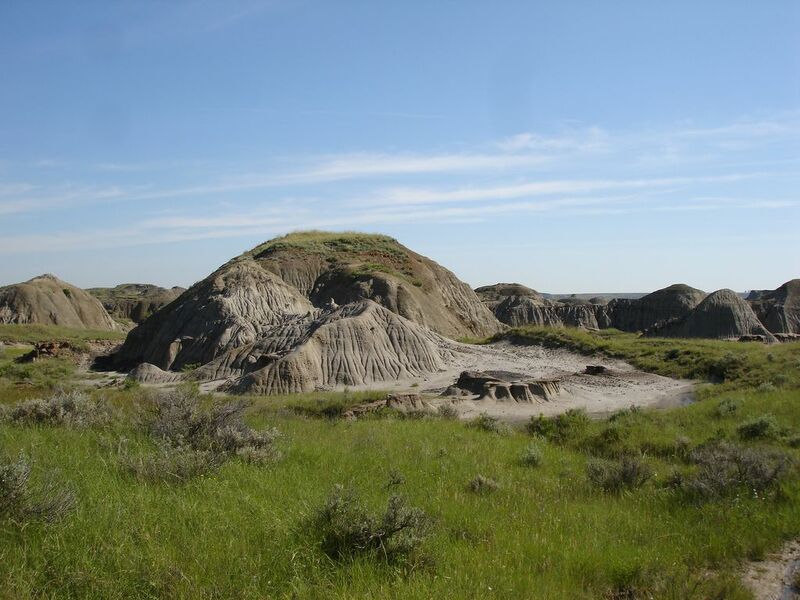 The park protects a very complex ecosystem including three communities: prairie grasslands, badlands, and riverside cottonwoods. 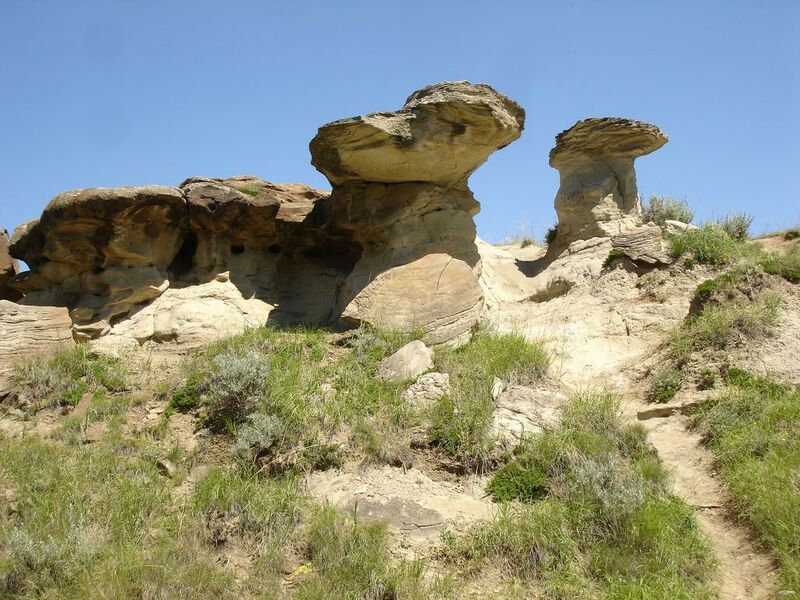 Its ecosystem is surrounded by prairies but is unique unto itself. 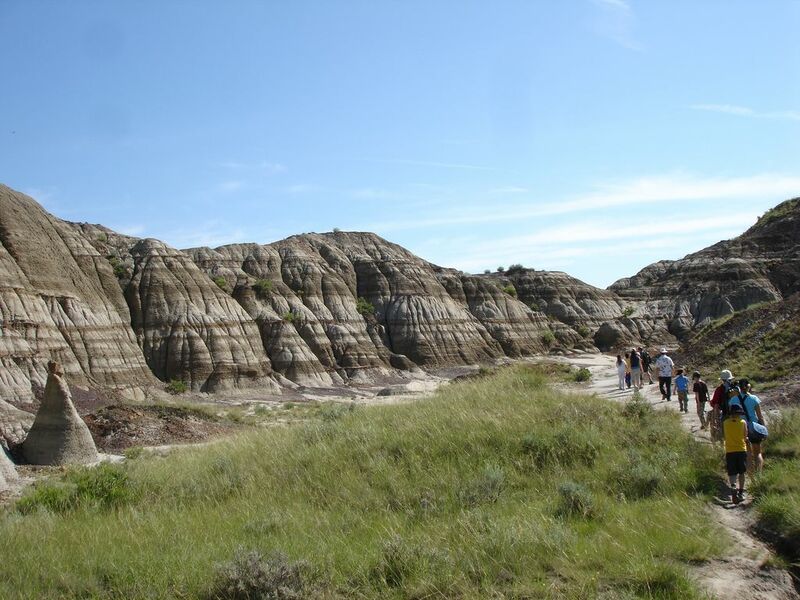 The park offers unique and stunning scenery, great camping and over a dozen interpretive programs designed to educate and entertain visitors of all ages.